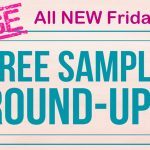 Home » FREEBIES » Ageless Paws Freeze Dried Treats Free Samples By Mail! Ageless Paws Freeze Dried Treats Free Samples By Mail! Ok – who has a pet? Grab these Ageless Paws Freeze Dried Treats Free Samples By Mail! Just fill out the easy form with your mailing information and allow 2-4 weeks for your FREE sample to arrive! *Limit 1 per household. Supplies are limited, we’ll do our very best to fulfill every request! [ GO HERE ] to get yours! NEVER Miss a Hot Deal – Sweep or Freebie Again! Free Backpack Sample In the Mail! HUGE Friday FREEBIE ROUND UP! Run!